Fishing kayak is an excellent choice for independent fishing. 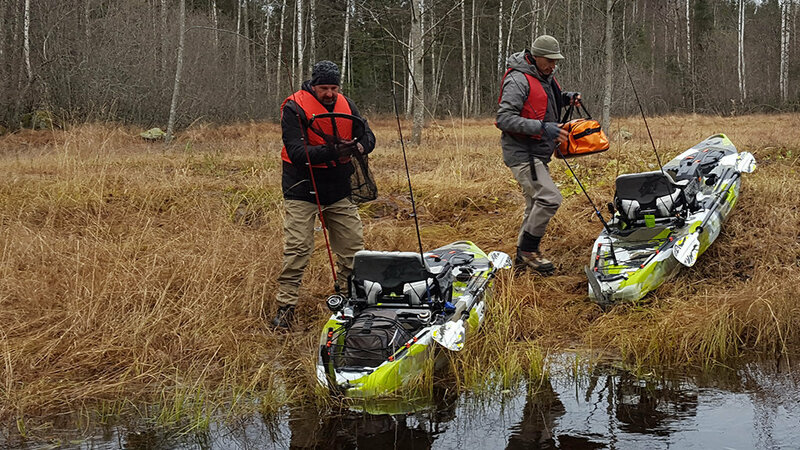 With a fishing kayak you can also fish in places that you do not otherwise have access to. 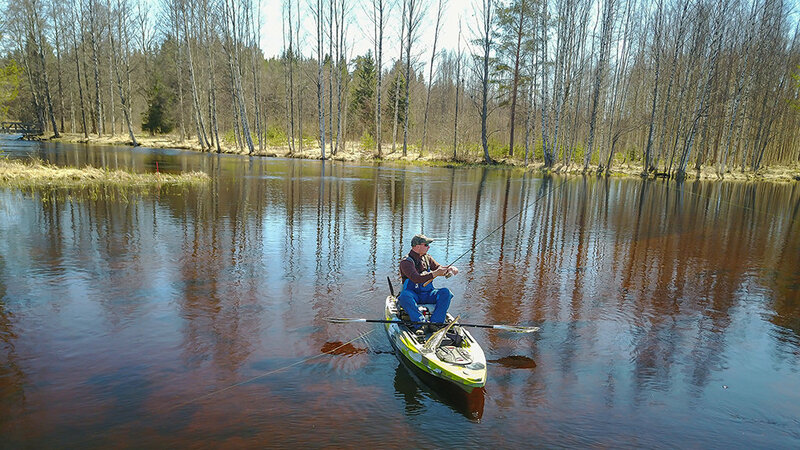 Especially in spring time and autumn, when the big pikes are in the shallow and rocky bays, the fishing kayak is excellent for reaching the best waters. 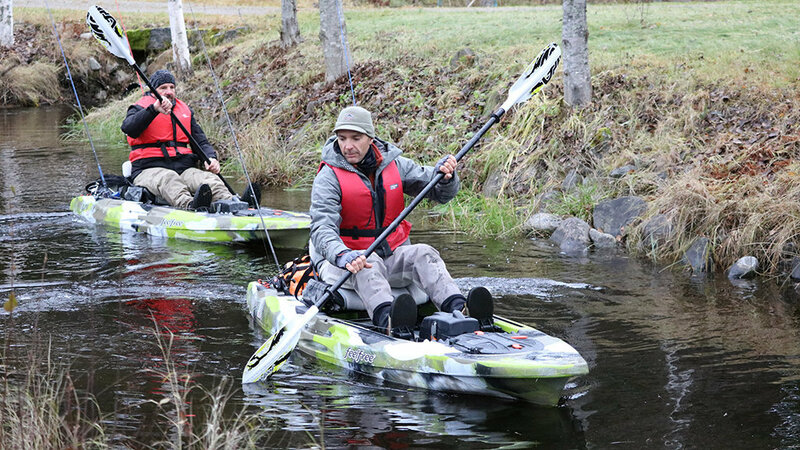 Also for fly fishing for pike a fishing kayak is a great vessel. 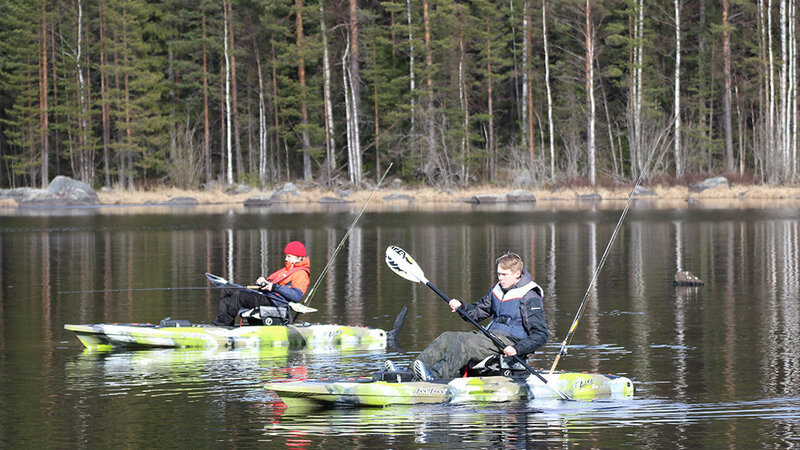 These sit-on-top fishing kayaks are equipped with rod holders, anchor and one life jacket per kayak. The height of the seat is adjustable. For your own stuff there is also good storage space in the kayak. 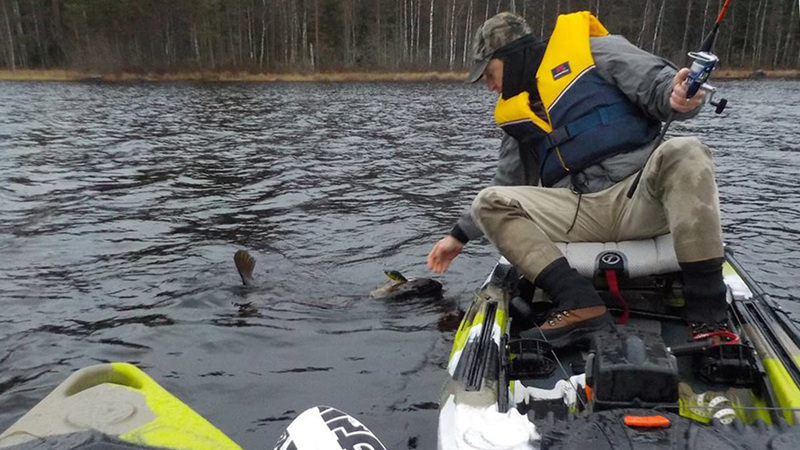 Kayak fishing is much easier, and safer, than it looks. 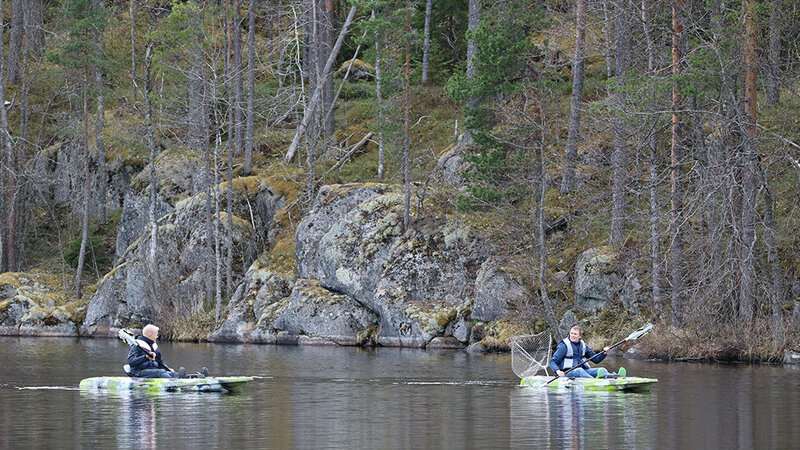 This is because the manufacturer has constructed the kayak especially for fishermen. The personal fishing licenses are not part of the price. Please see the instructions from https://verkkokauppa.eraluvat.fi/en/en for purchasing of these. Example price (2019, per person) one day is 6 euros. Starting place: The shore of your rental cottage by Lake Soukkio. The additional cost for transport to cottages by other lakes nearby is 100 €.